Resignation is not planned, according to Ivanchuk. The Cabinet of Ministers' report to parliament on the implementation of its action programme for 2017 will be held according to schedule, the head of the parliamentary committee on economic policy, Andriy Ivanchuk, has said in a commentary to LB.ua. 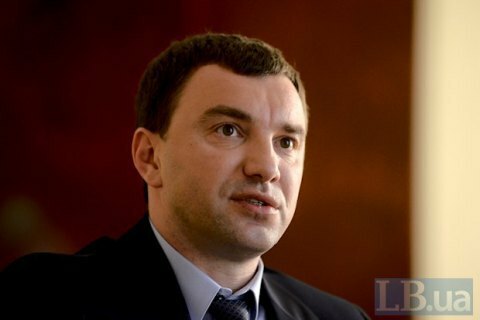 "The Cabinet of Ministers will report to Rada [parliament] as planned and without resignation," he said. "I returned from Washington. I've been there only for two days. Therefore I will work as planned now. The government will report on the implementation of the government programme for 2017 as planned and scheduled (at the end of June)," Ivanchuk said. According to him, no cardinal personnel decisions are expected based on the report. "How do I assess the work of the government? I personally am against the resignation for sure. Plus. Go out. Is there a revolution? No. People get salaries and pensions. Yes, we always want it to be better. But I think that despite all the moves and movements, everything will be quiet after all," he added. Also, he noted that he "would very much like to see the Cabinet of Ministers' plan of future efforts, not so much the report on what has been done". The parliamentary committee on economic policy was to hear the Cabinet of Ministers' report for 2017 on 18 April. However, later on the committee said on its website it was postponed until 20 June. According to LB.ua editor in chief Sonya Koshkina, the Petro Poroshenko Bloc was going to withdraw four ministers under its quota - Finance Minister Oleksandr Danylyuk, acting Health Minister Ulyana Suprun, Coal and Energy Minister Ihor Nasalyk and Agriculture Minister Taras Kutovyy. If Groysman did not agree to this, the PPB would seek the resignation of the entire government.